Ford 600 Truck, Pathfinder, Pt Cruiser, Jeep, Bucket Truck, Auto Lift & Tools, Hydraulic Press, Trans Flusher, Paint Tent, Steam Cleaner, Engine Hoist, Tool Boxes. Construction Tools, Saws, Nailers, Floor Buffer, Ladders. Mr. Hitchcock built a nice automotive shop beside his home in Decatur and it is full of equipment and tools, In addition, we are selling his construction tools, vehicles and lawn equipment. 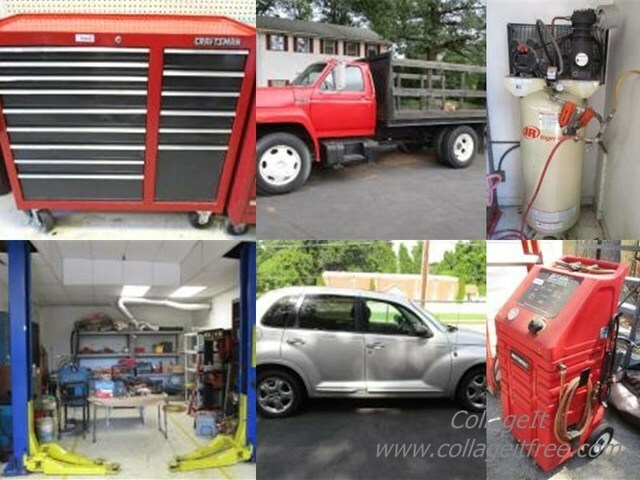 ONSITE INSPECTION DATES: Sunday, September & Thursday, September 7 11:00 P.M. – 2:00 P.M.
BIDDING DEADLINE: Saturday, September 9 starting at 9:00 A.M.
AUCTION REMOVAL DATES: Sunday, September 10 and Monday, September 11 10:00 A.M. – 2:00 P.M. excluding the Lift which cannot be removed until after 2:00 on Monday. 15% Buyers Premium will be charged on all purchases. Everything sold as-is. As always, personal onsite inspection is recommended.